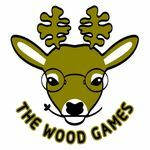 We are The Wood Games. We are quite new in board game industry but we are experienced with board game related affairs due to the experienced executor, Citie Lo. We are from Taiwan and we are trying to bring beautiful and fun games to players. Some of our games have amazingly beautiful artwork from Taiwanese illustrators. We hope to introduce extraordinary game designers and illustrators from Taiwan to the world. It's one of our goals. But also we want to introduce good games from around the world to our players.